Living in Washington State, I’ve heard quite a bit about elderberries (which are native to Washington) and what you can make with them. Elderberry syrup as an immunity booster has been the most recommended usage by far. After three months of continual illness in our family I was ready to try almost anything, but I really prefer having science based evidence backing the claims of any treatment. I am not a health professional, so I am NOT giving medical advice. 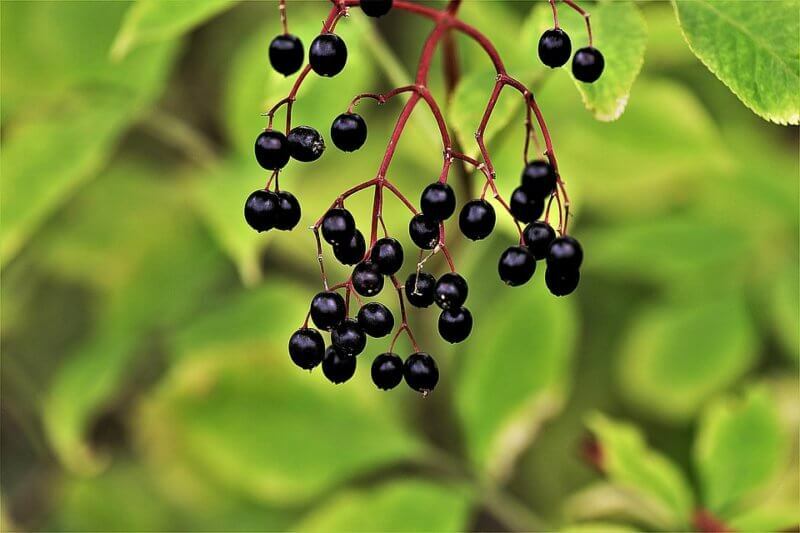 But after talking with several doctors and naturopaths, I decided to do some research on the health benefits of elderberry syrup, and then share my finds with you. I was surprised to learn that it wasn’t just bloggers singing the praise of elderberry syrup. It turns out there are dozens of scientific studies that have been done on Sambucus, the genus of flowering plants that elderberries belong in. So what do all these studies actually mean? Combing through study after study, there is not enough evidence of testing on humans to say definitively that elderberry syrup will cure you of the flu. 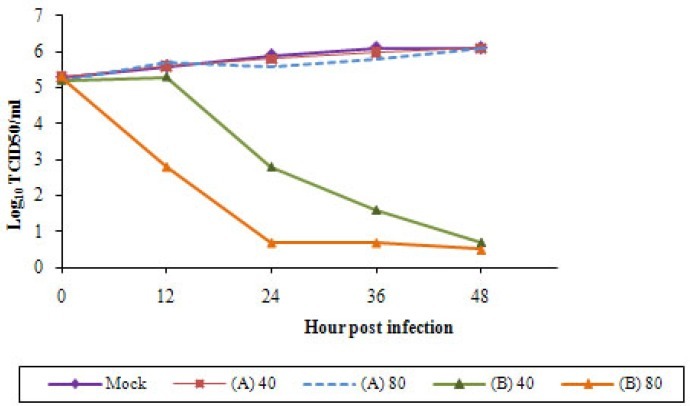 But there is a lot of evidence from lab studies that elderberry will boost an immunity response in your cells, and that was enough for me to give it a try. ARE THERE ANY ELDERBERRY SYRUP SIDE EFFECTS? 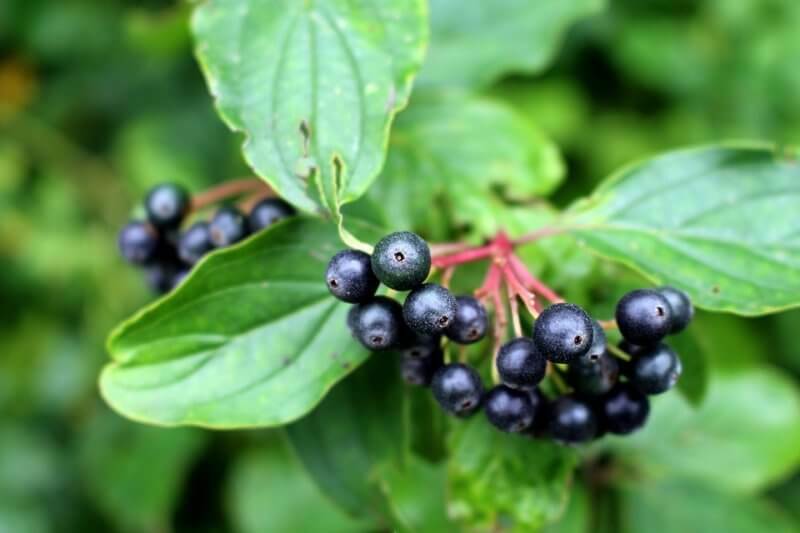 While the extract of elderberries has so far not been shown to have an side effects, eating the berries themselves has been shown to cause side effects such as nausea, vomiting, and diarrhea. Same for eating the leaves or stems. That’s why you need to throw away or compost the berries you strain out when making your syrup. Also, while my midwife highly recommends elderberry syrup to her clients, please check with your own health professionals on taking it if you have concerns about being pregnant or breastfeeding. WHAT ABOUT ELDERBERRY SYRUP FOR BABIES? In fact I recommend this elderberry syrup for kids 2 and up, because of the inclusion of raw honey. If you would like to make elderberry syrup for babies, just use the berries and water. Skip the honey, instead add 1/2 cup of organic sugar (to act as a preservative, not just for flavor) and boil it down until thicker. Keep the syrup in the fridge and give them about 2.5 mL with a medicine dropper. You can also substitute agave syrup for the honey. I like using the Instant Pot to make my elderberry syrup, because I don’t have to babysit it, and it can cook a bit faster than on the stove. I also use the same mesh strainermesh strainer that I use for homemade milk kefir to strain the elderberry syrup. I buy organic elderberries on Amazon. I’ve looked at various other websites and stores, and found this to be the best deal with quality dried elderberries. For those of you who are more visual, here’s a video showing all the steps for making elderberry syrup in the Instant Pot. Make sure to let your syrup cool a bit before adding honey. The reason for using raw honey in this syrup is that raw honey has its own healing properties. But the medicinal properties can be rendered ineffective at high temperatures. I try to never make our honey hotter than 115 degrees F.
Adjust the flavors to suit your family. While there are definitely a variety of studies on health benefits of cinnamon, ginger, cloves, and lemon, I mostly include those in the syrup for flavor. We like the added tartness from the lemon, but you may want to leave it out if you prefer your elderberry syrup to just be sweet. Don’t have an Instant Pot? No problem! Just follow the recipe directions but simmer on the stove for 45 minutes to one hour until reduced by half. Then let cool and stir in your honey. If my kids had their way, they would drink a cup of elderberry syrup a day. Even though you could certainly drink more, or even pour it on your pancakes, I prefer to treat it like a medicine. I looked at various brands of elderberry syrup to determine how much to take. As adults, we up our dose to a full tablespoon when sick because it seems like it takes longer for us bounce back than it does for the kids. 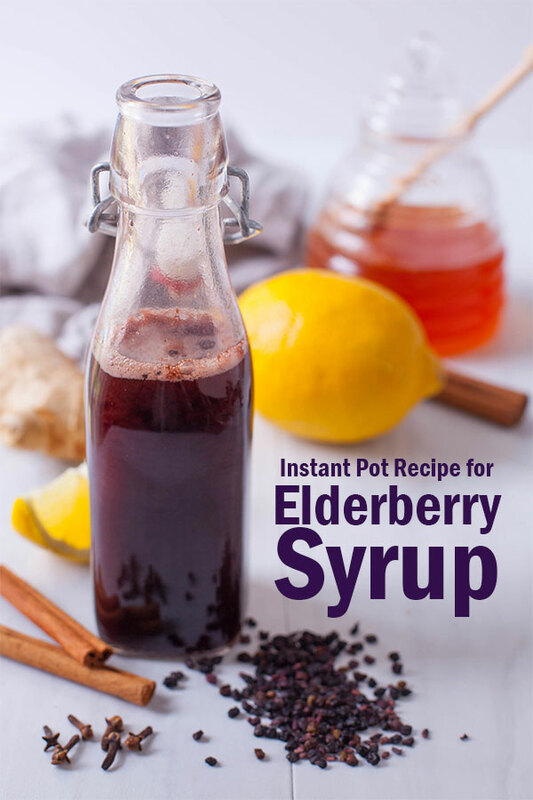 If you’re in a pinch and can’t make your own elderberry syrup, you can buy it already made at most health food stores and pharmacies. You can also buy the syrup on Amazon. I like the Nature’s Way brand. 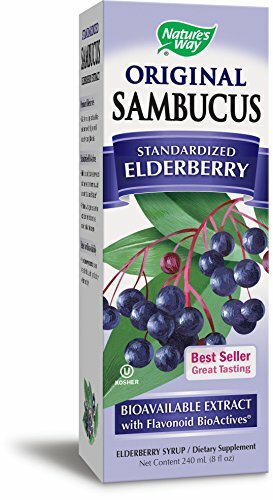 Sambucol is another great brand with a variety of products from elderberry liquid extract, to elderberry gummies, elderberry lozenges, and elderberry syrup. Cook time includes getting the pot up to pressure and the manual quick release of the steam. Put ginger, lemon, cinnamon, cloves and elderberries in the Instant Pot. Add the water. Put the lid on and set the vent to "SEALING". Do a quick pressure release, remove the lid, and set to "SAUTE". Boil the syrup for 10 minutes, until the liquid is reduced by half. Pour through a strainer, mashing on the berries with a spatula until all the liquid is released. Make sure you throw the berries away (in the trash or in the compost) as they are not safe to eat. Essa fruta existe aqui no Brasil? Eu não falo português, então, espero que o Google Translate possa ajudar! Aqui está o link para a publicação traduzida. Não sei se você pode pegar ervas daninhas no Brasil. Obrigado por seu comentário! Quite interesting to try the elderberryies syrup. 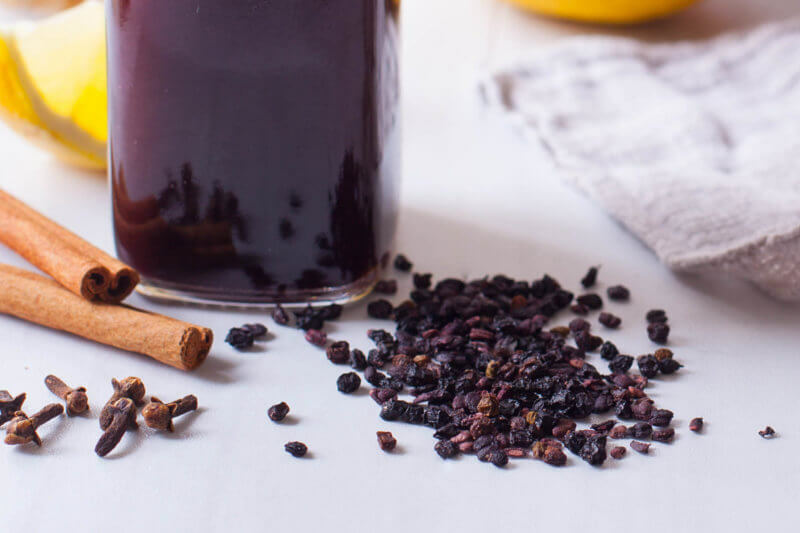 I’ve been dying to make my own elderberry syrup – I had no idea I could do it in my Instant Pot! Hi Kathy, I don’t know a lot about using the extract, but I believe you can just take it as is. If you want the flavors and sweetness of the syrup. Maybe try mixing a little with some raw honey and a pinch of cinnamon powder. If you like that you could probably do it with the whole bottle of extract and keep it in the fridge. Basically, the liquid we strain off from the Instant Pot is an extract, it just has added flavors from the cinnamon, cloves, ginger, and lemon. Since honey is safe for children 1 and up, is there any other reason you wouldn’t want to give this to a 1-2 year old? Or is it just the honey? Pasteurized honey is safe for kids 1 and up, but some scientists/medical professionals have said not to give kids raw honey under age 2. I don’t know the specifics on that, but choose to play it safe, especially when making a recommendation to someone else. You can definitely ask your pediatrician about it. They might say it’s okay! Can I make this with fresh or frozen elderberries? Would I reduce the water or keep it the same? I think 2-3 cups of the fresh elderberries would be good. You might not need as much water using fresh. Maybe only 2 cups. I’m not sure since I haven’t tried it. What if you do not have the instapot? Great question. I’ll add stovetop directions to the post. Just simmer on the stove from 45 minutes to 1 hour and then follow the straining and cooling instructions and stir in honey. Really interested to try this! We’re on our 2nd round of cough/cold this winter in our house. I don’t have an insta-pot and not really interested in purchasing one at this time. Could this be made another way? Hi Ray, I’m sorry I’m not quite understanding your question. Could you explain what you mean? How much of fresh elderberries would you need? I grow my own. I love that you grow your own! That is on my list for my next edible garden purchase. I think 2-3 cups of the fresh elderberries would be good. Also, you might not need as much water using fresh. Maybe only 2 cups. I’m not sure since I haven’t tried it. Ooh thanks for the tip! The Instant Pot is stainless steel, but I didn’t know that was important. Can I make it in a crock pot. Great question. There’s not really any advantage to cooking it longer in a crockpot, so I’d do it on the stove. I’ll add stovetop directions to the post. Just simmer on the stove from 45 minutes to 1 hour and then follow the straining and cooling instructions and stir in honey. I do not own an instant pot. How would you recommend making it on the stovetop? Wondering why the leftover berries are not see to eat? Thank you for the recipe! I’m curious; you mentioned Sambucol but then recommended Sambucus by Nature’s Way (which is what I have). Are they comparable? Also, I have elderberry EXTRACT by Nature’s Answer, which is a lot stronger (12,000 mg per 2 tsp, as opposed to only 100 mg per 2 tsp of the SYRUP mentioned above). Any thoughts on that? I’m new to this, so just trying to understand. Thanks! You’re so welcome Angie! Those are both great brands to buy. And the elderberry extract is FANTASTIC! A lot of people just prefer the syrup consistency and flavor. Great questions! 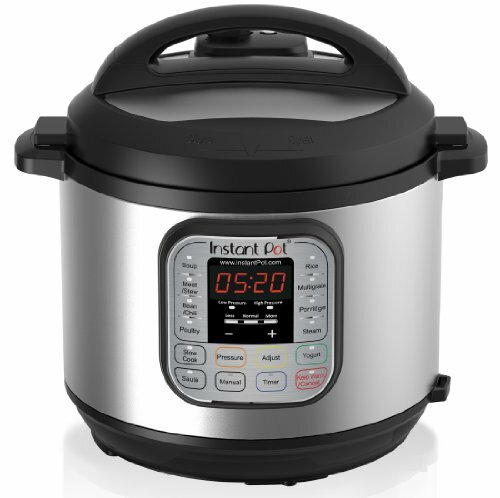 Does the size of your instant pot make a difference in the cooking time? I have an 8 qt. I don’t think the size of the Instant Pot should affect the recipe instructions. Great question! How would you make this without a instant pot? what if you don’t have an insta pot? can I just cook it on the stove in a normal pan? Hi Tara, it will keep in the fridge up to six months. But I expect you’ll use it up before then! I have blueberries growing in my yard. When I make the juice for jelly there is always a bitter taste. I have tried picking off each individual berry with no stems, but it still tastes bitter. What am I doing wrong? Why would dried berries be any different? I’m very interested to make this but I don’t have an instant pot. Is there a way to make without the instant pot? I would try 1/4 teaspoon. About how many cups of elderberries would be on a one pound bag? Does it matter if I’m using frozen elderberries instead of dried? I would guess you could do them similar to fresh elderberries. I think 2-3 cups of the frozen elderberries would be good. You might not need as much water using fresh. Maybe only 2 cups. I’m not sure since I haven’t tried it. Warning to anyone with asthma, taking elderberry syrup will reduce the effectiveness of your rescue medicines. I use elderberry for myself but can not use it on my son, as he relies on his puffer to clear his airways during an attack. Elderberry is contradicted in anyone using a puffer for their lungs (check with your pharmacist and they will confirm, it’s listed in their book of interactions). Be careful, and use it safely and while being well informed. Great warning, thank you Jenn! That’s why I encourage people to check with their doctor before taking it. Really important to know that homeopathic remedies are contraindicated in some cases. I made your instapot recipe today. How long is the elderberry syrup good for in the fridge? That’s great Alaina! It should be good for a few months in the fridge, but I find we use it up before then. Enjoy! I followed the directions exactly, but it turned out to be liquid rather than syrup. Did I do something wrong? Hi Inna, it thickens up a bit in the fridge. But yes it will be a little liquidy. If I wanted to double this recipe, I know I probably don’t need to increase the cooking time on the instant pot. But what about the boil down time with the sauté function afterwards? Should I increase that time? Hmm, good question. You might need to cook it a little longer, but you have the same liquid to honey ratio so I think it shouldn’t need double the simmer time to get syrupy. And yes, organic honey is perfect! 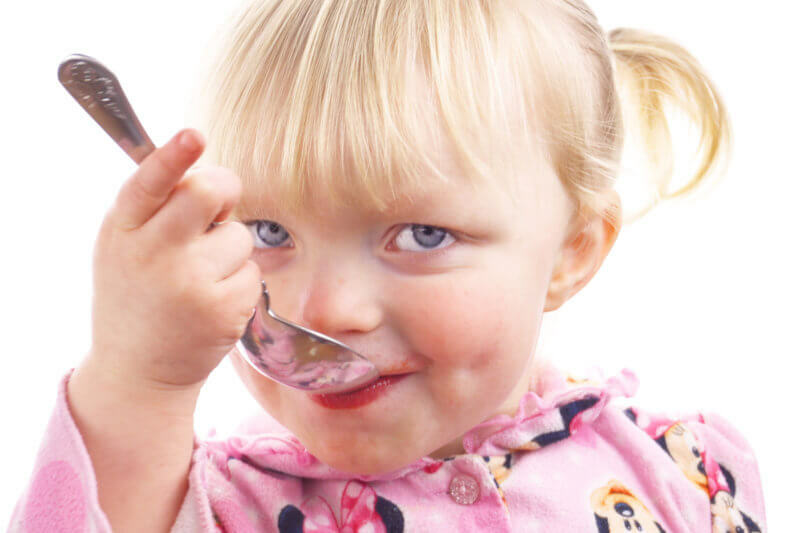 Can I use a little organic sugar to sweeten if needed for my kids taste buds? It will be very sweet from the honey, but you could definitely add a little sugar if you think you need to.